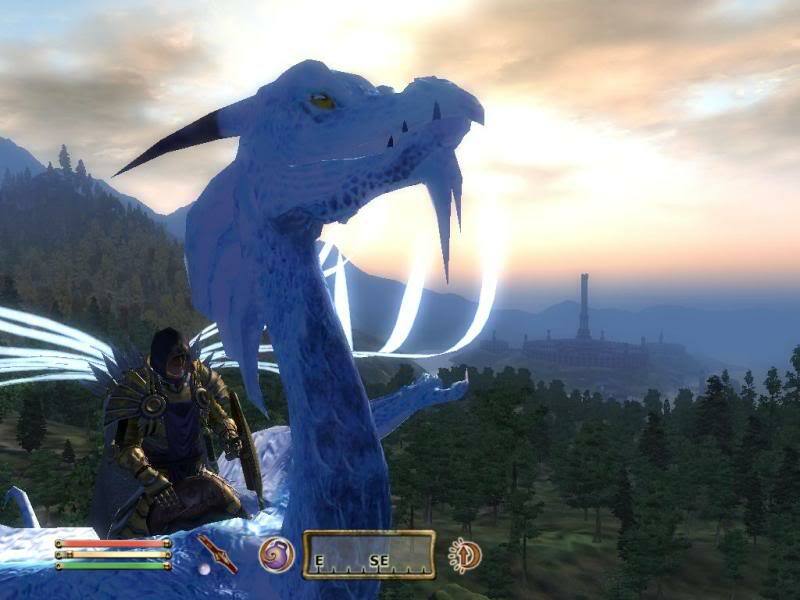 I didn't know Akatosh came in blue. And your magicka is low. Perhaps a potion would do. 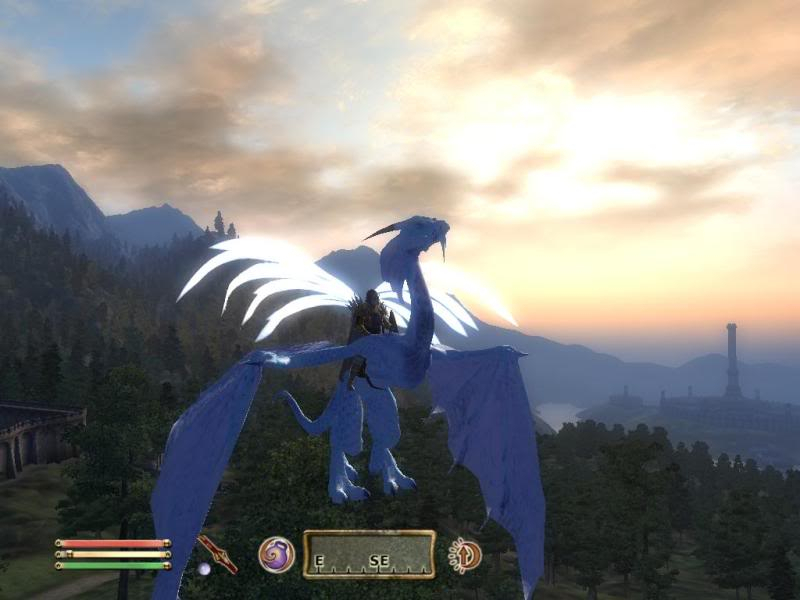 And isn't it kind of repetitive to be wearing wings....on a flying mount? Very repetitive. But it looks sweet.